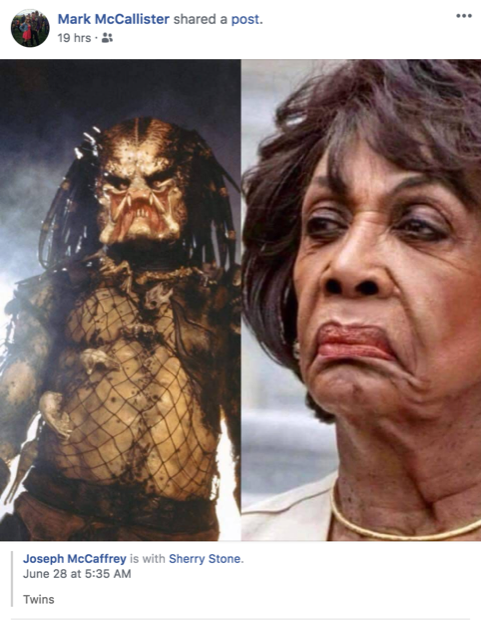 The second vice chair of the Mesa County (Colorado) Republican Party shared a Facebook post last week comparing California Congresswoman Maxine Waters, who’s one of the country’s leading African American women, to the alien beast in Arnold Schwarzenegger’s famous 1987 movie, Predator. 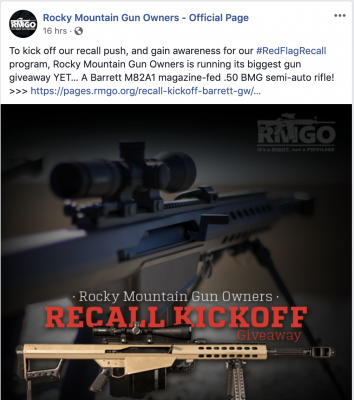 The second vice chair, Mark McAllister shared the meme without comment, and did not respond to efforts to reach him through email and a call to the Mesa County GOP chair, Laureen Gutierrez. 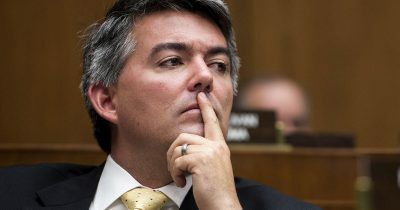 Gutierrez declined an offer by the Colorado Times Recorder to comment on behalf of McAllister, who was elected to his GOP leadership position in Mesa County, in southwestern Colorado. Waters is a past chair of the Congressional Black Caucus and the founder of the Black Women’s forum, which has over 1,200 African-American members. 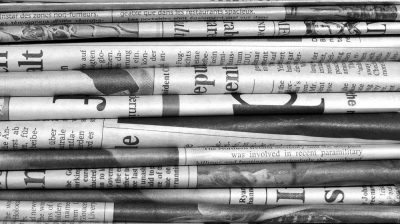 Unlike some news sites, the Colorado Times Recorder (CTR) will call someone a racist if they make a racist comment and refuse to talk about it. Under these circumstances, the racism speaks for itself. 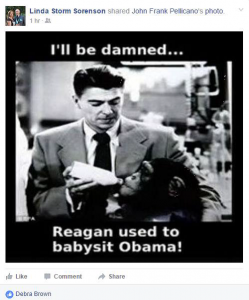 And racism is evident in the above meme, which was obtained by a source. The Colorado Times Recorder is committed to exposing racism and bigotry in our state. GUEST: There’s a real incompatibility between Islam and Western-style government democracy. There just is. BOYLES: It doesn’t work! They don’t work! GUEST: They don’t work together. This incompatibility is not extremist. It is intrinsic to Islam. 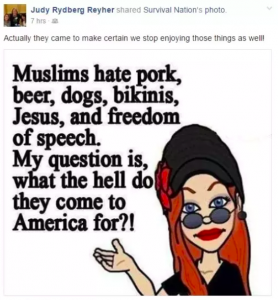 In 2016, Otero County GOP chair Judy Reyher, who Republicans later appointed to be a state representative, called African-Americans “hatred-filled beings.” She also shared bigoted posts about Muslims, like the one above. In an interview with CTR at the time, she adamantly denied being a racist. This topic contains 0 replies, has 1 voice, and was last updated by Jason Salzman 9 months, 1 week ago.